Yesterday, I re-seasoned my cast iron skillets. If that sentence doesn’t make sense to you, then you definitely ain’t from the South. In the South, where my roots are planted deep, there’s just no good cookin’ ‘cept that you use cast iron. I’m a Southerner through and through. Though I long ago transplanted myself — first to New York and then to L.A. — Southern roots run deep, which is why I found myself seasoning my cast iron, and thinking about meals eaten in my mamma’s house. Cast iron lasts several lifetimes (we’ve been passing them down in Southern families for years), well seasoned pan cleans easily and never sticks, and cooking with cast iron even adds some low dose iron to every meal. Southern cooks fry chicken in cast iron, but I use mine to brown chicken on the stove before sliding it in the oven so it can bake. 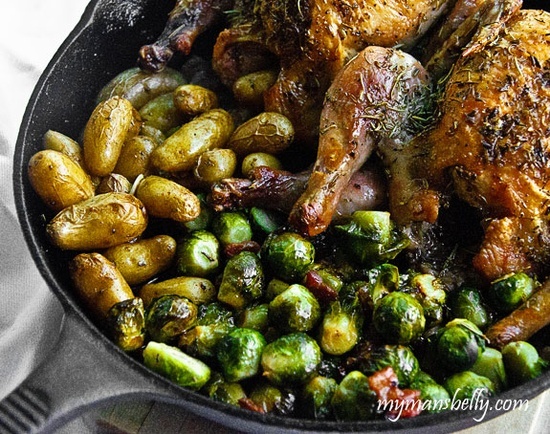 In fact, I love to cook anything in it that can benefit from the carmelized goodness that cast iron imparts better than just about any cookware I know and, unlike close rivals, like enamel coated cast iron favorite Le Creuset, cast iron is super affordable. 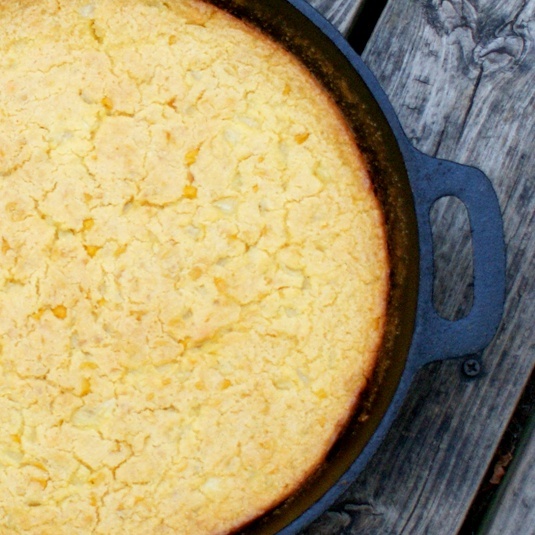 Treat it right and you’ll be roasting potatoes and whipping up batches of skillet cornbread, and just about anything you can imagine, for years and lifetimes to come to come.